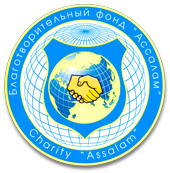 October 25, 2012 the president of public organization the Committee on protection of rights and freedoms of citizens "Shield" and the Charity Fund "Assalam" together with the International Committee for the Protection of Human Rights in the person of the chairman George Shibanov in the commission visited the Chernomorskaya women's penal colony № 74. For objectivity the commission was attended by representatives of various government and public organizations. The main reason for the visit was the information that allegedly contain women in inhuman conditions, bullied, and young mothers, as a disciplinary measure, do not let their children who are in the children's home in the colony. The first place visited by the commission was the House of the child in the colony. At this point in it dwells 79 children under the age of 3 years. Of course the first thing that catches your eye is perfect cleanliness and order that prevailed in all areas, whether residential or chores. Was able to talk to service personnel of House of the child, learn more about the life of children. Women prisoners are allowed to see their children twice a day for two hours. Rest of the time they are engaged with educators, psychologists and nurses. If possible, with the help of patrons to lead children on trips, to the circus and a dolphinarium. And on every holiday matinees are organized, of course, with gifts and competitions. Commission has been with the visit at a time when mothers were walking with their children. Kids gladly posed for pictures and television cameras. Without any embarrassment went to the hands of the guests. From the words of mothers, it became clear that they are quiet while their children are here for them, and that with them nothing bad will happen. After the Commission followed to the library of the colony. Librarian Marina says they read almost everything, and many organizations transfer their newspapers and books. There is an exhibition of the work of prisoners, it should be noted that most of them are commendable. Have not ignored and directly those premises where women are sleeping and spending their time during off hours. Surprised the white sheets and perfect made beds. Also, members of the commission visited hospital of the colony. All the questions that interested the Commission answered responsible chief of Chernomorskaya penal colony № 74 Karakaj Olga Nikolaevna. Assured that if they want such a test could be repeated on any day at any time of the day to finally was settled strange and accusing rumors about inhuman treatment of women prisoners.